This Chasm model is built with a 3.3" black stonewashed blade with and a black and brown zytel handle. 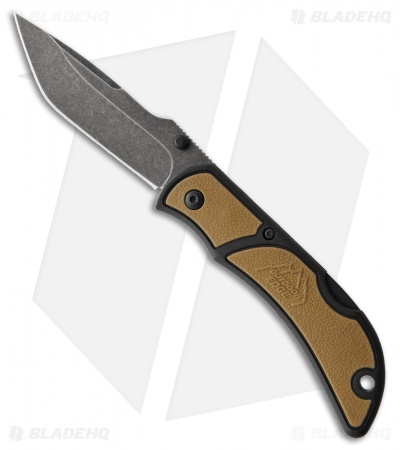 The Outdoor Edge Chasm is a durable lockback knife for everyday carry. Stainless steel drop point blade with a curved belly for versatile use. Dual thumb stud openers provide ambidextrous blade deployment.